The early days of dermatology apps were fraught with controversy, but the more recent attempts at digital skin examinations have seen some success thanks to advances in machine learning (ML) technologies. But while the benefits of clinically-validated automated screenings are easy to imagine, a recent article published in JAMA Dermatology suggests that the training methods for these algorithms may not lead to accurate diagnoses among patients with skin of color. Although dermatology as a whole is a strong candidate for ML applications thanks to its visual focus, devising an effective algorithm still requires a large pool of high-quality data, the two wrote. 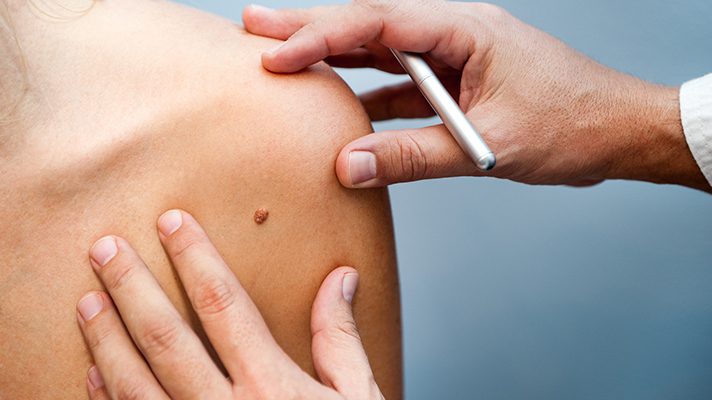 So far, however, the majority of sample data comes from individuals with lighter skin — take as an example the International Skin Imaging Collaboration: Melanoma Project, an open-source, public-access archive of pigmented lesions primarily collected from the US, Europe, and Australia. This particular “blind spot” in ML’s capabilities is similar to other societal biases already affecting the next generation of medicine, such as the limited representation of minorities in genome-wide association studies and clinical trials, Adamson and Smith wrote. To amend the disparity, they stressed the need for image repositories to carry additional photos of skin conditions among those with skin of color. In addition, they called for ML software that can be trained to detect melanoma across skin types, or for the development of separate algorithms specifically created to address this gap. “Although most early ML studies in dermatology focused on pigmented lesions, ML may eventually be developed for evaluating rashes, which can visually manifest differently depending on skin type. If adequate representation of skin of color falls short, as it has in mainstream dermatology textbooks, benefits of ML in skin of color could be hindered. At this early stage in the development of ML technology, we have an opportunity to intervene and reduce its potential effects on health care disparities in skin of color,” they concluded.